I received an ad for this and decided to get it for you because I remembered that you wanted to find out about it. It may be more basic physics than you're interested in; I'll be glad to discuss any part of it with you if you have questions. 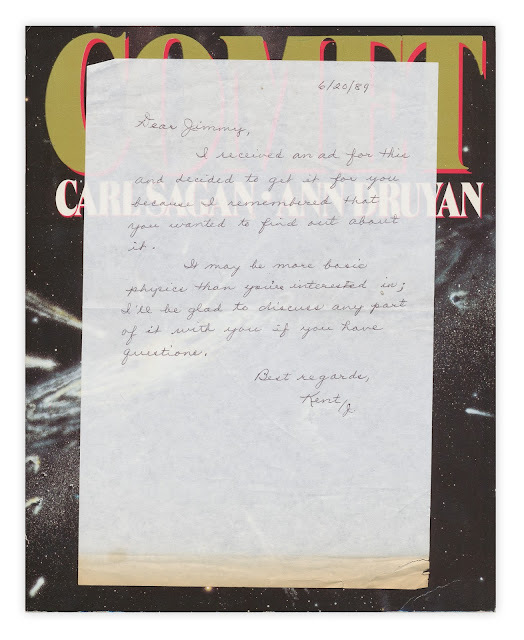 Found in "Comet" by Carl Sagan and Ann Druyan. Published by Random House, 1985.